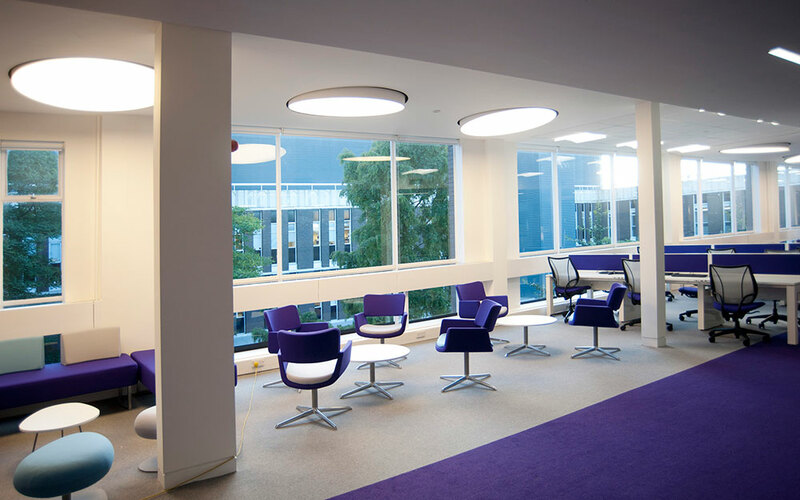 This FastTrack project involved the refurbishment of the medical library on the 3rd floor of the Stopford Building. The programme was extremely tight as the first phase had to be completed prior to the new term starting. The rest of the building remained live throughout so strict segregation of our work areas and access routes was crucial. Noisy works were undertaken at agreed times to minimise disruption. 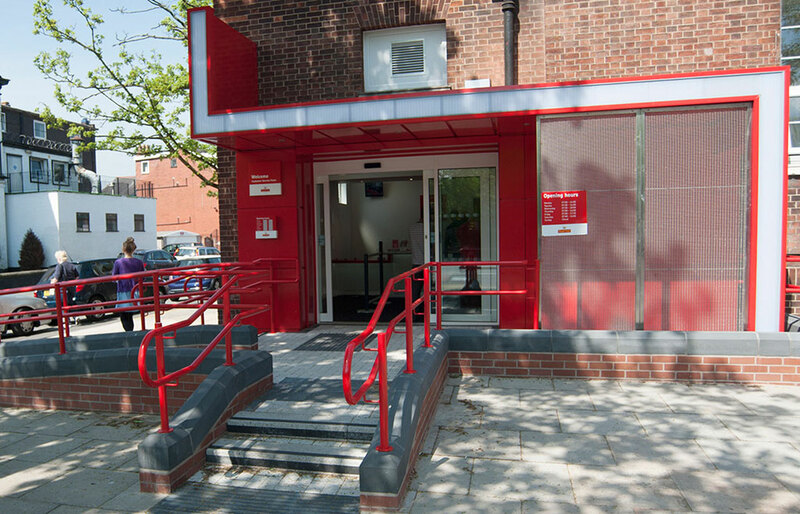 The building required stringent security measures at all times which we maintained throughout the project. 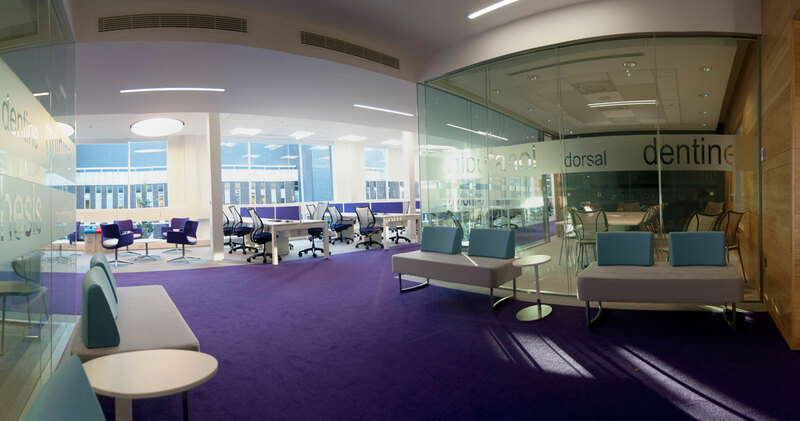 The library was to be immediately occupied following the completion of phase 1 so a snag free finish was essential and achieved. The purple carpet had been designed to follow the line of the bulkhead above it. 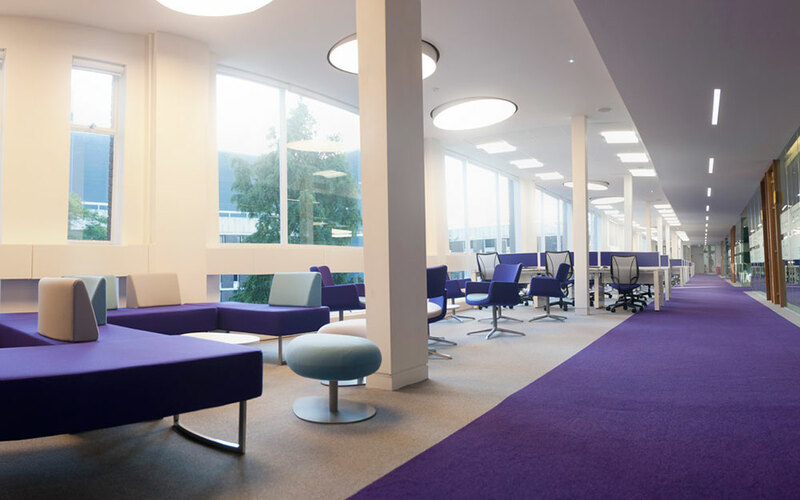 When carrying out our 2-week post occupancy review the building user expressed her dissatisfaction with how the legs on the furniture over spilled from the grey into the purple carpet section. We arranged with our flooring subcontractor for the grey section to be widened. 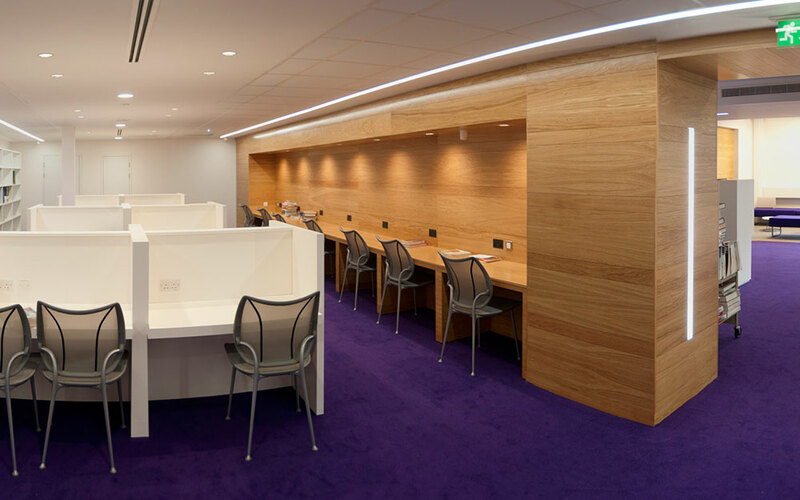 "The refurbishment of the Medical Library in the Stopford Building was a fast track project which had to be undertaken in a fully occupied building and with multiple H&S restrictions in terms of segregation, hours of work and security. This demanded careful planning and monitoring of the works on site. 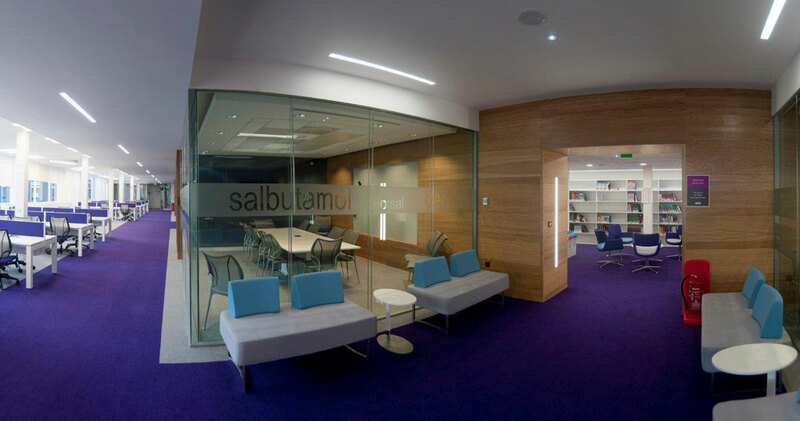 MC Construction performed excellently and made this demanding project a reality. The site agent liaised with the University and with the Design Team professionally and kept the site organised and safe. 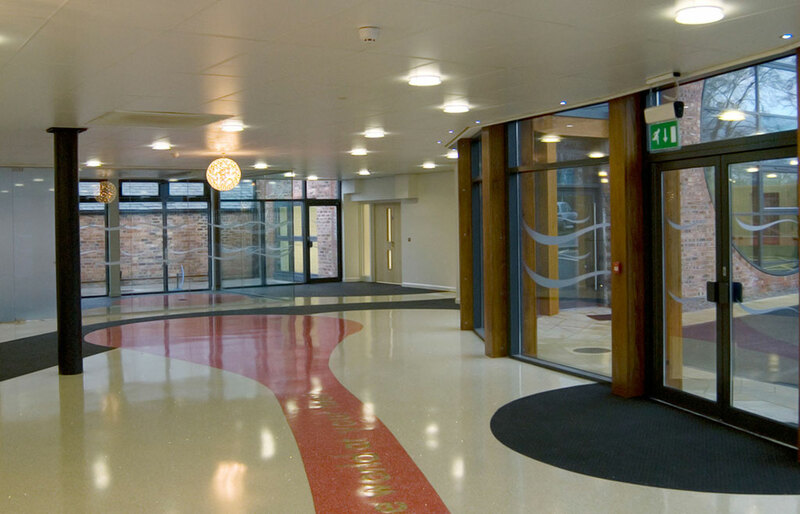 MC Construction went the extra mile and resourced the project to ensure that a very tight programme was met. 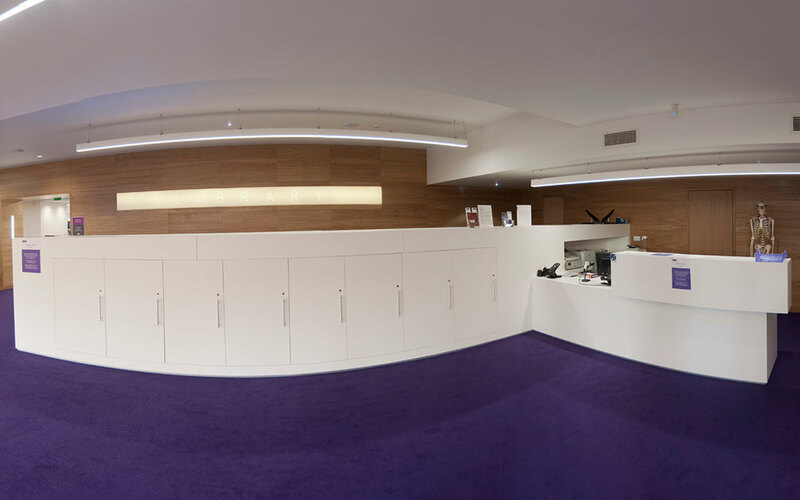 Our policy was to target a zero-defect handover and the snagging list was minimal by the Completion Date. 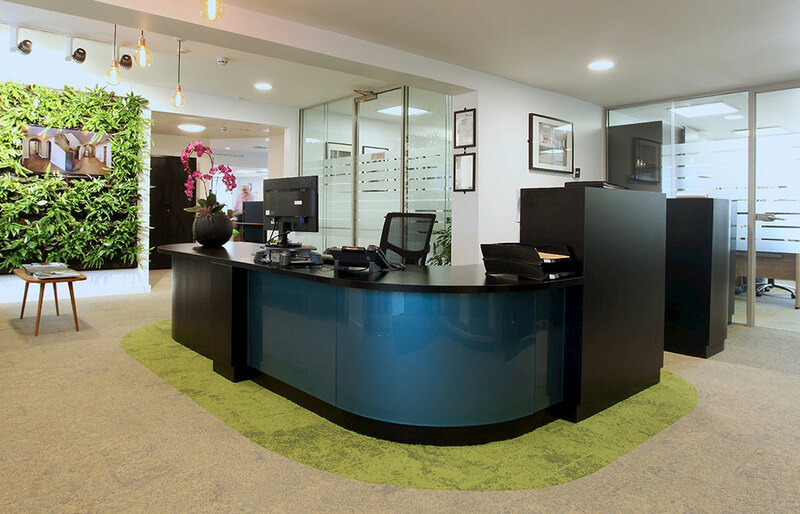 We are happy to recommend MC Construction and would be delighted to work with them again."